Open House Thursday 11/29, 11 am – 1 pm – come for the cookies! I am holding an open house tomorrow at my fabulous 2 bedroom 2 bath ‘SUITE” AS PIE condo listing in Federal Way. VAULTED CEILINGS allow room for a HUGE TREE. MOVE IN BEFORE Christmas! This is a Broker’s Open that is open to the public. Things are finally “shaking out” here at the new house, and we are starting to see where there is a lack of lighting – mostly because we re-purposed the rooms for our own use instead of using them according to how they were labeled on the floor plan. We’ve been having trouble with lighting in our general living area – mostly because we are trying to cut down on glare on the 50″ plasma screen 15 feet away. The floor lamp we had just didn’t work in the same space as the very tall cat furniture tower we rewarded “the kids” with when we moved. But on occasion I would like to be able to sit here and read a magazine (this occurs most when one of us is waiting for the other to get started with a show or something). Of course, the designer lighting we would like to have installed costs a fortune and we just aren’t ready to spend that kind of money. 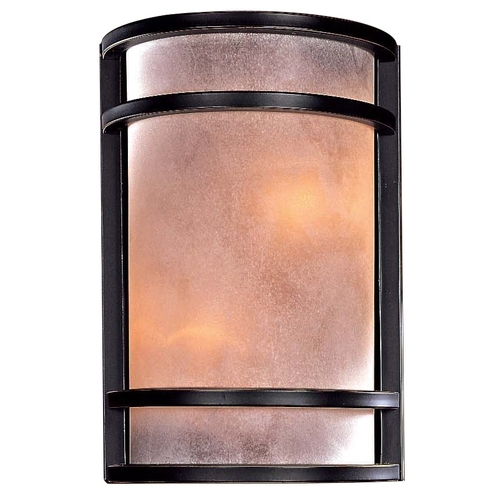 But when I went online to the web site for Seattle Lighting I found a number of wall sconce options that could be converted to plug-in type lighting (to cut down on installation costs of course). So the best way to get what you want is to be the one who puts together the list. I sent my husband a list of about 10 links to certain wall sconces that *I* liked. It makes it easier for him, since he doesn’t have time to do the hunting, and I am not faced with choices I hate. It’s a win-win situation. Now, I wasn’t looking for Energy Star lighting specifically. But I was pleasantly surprised that we intersected on a nice fixture (pictured above) that had a painted Restoration bronze finish with French Scavo glass. It includes two 13-watt spiral G24q-1 4 pin compact fluorescent bulbs. I really don’t like the quality of lighting from a CFL – it’s a real compromise for me to use them, despite the energy benefits. I suspect because the bulbs will be behind this beautifully colored glass I won’t notice the harshness of the lighting. This fixture meets strict Energy Star® requirements. Energy Star® is a government-backed program dedicated to promoting products that reduce greenhouse gas emissions. This organization assists individuals and businesses in the identification of energy efficient products. I also am willing to use more CFLs because it is getting easier and easier to dispose of burned out bulbs. CFLs contain mercury and can not be placed in the trash. It is considered a hazardous waste. I used to kick them around the house for months before a trip to the transfer station where we could turn them in. Now many of the local hardware stores have a “take it back” program for CFLs – I am so happy about this! If you search “Energy Star” at the online store for Seattle Lighting, called Destination Lighting, you will find 251 different products and a number of indoor and outdoor options. Light up the night and your life! We did! I can’t wait for it to arrive. I guess we will have to stop moving the furniture around now. And put a big fat red bow on it! I laughed in delight and appreciation when I saw the latest marketing effort by The Dwelling Company sales team down the street at the 31st Avenue Collection. This is Bungalow 2044, you can view the floorplan here. They’re doing some work with the porous sidewalk out front right now so I couldn’t get much closer. This photo is taken with my cell phone – well, my Sprint Pocket PC. Not bad, eh? It would make a perfect Christmas gift for someone you love. If you are seeking Buyer’s Agency representation, I’m your High Point expert! And future neighbor… Email me. There are tickets still available for Trans-Siberian Orchestra this Saturday. My husband Steve and I are going with some friends. I’ve always wanted to go but never managed to quite get there (Mannheim Steamroller is also on my list…maybe next year). My friend who suggested it, a mother of two boys, doesn’t get out much and I expect things are going to get crazy as she is turned loose in downtown Seattle without the usual obstruction to fun two kids can create. Yes, I am child-free, and I like it that way. I don’t know how people with kids even think straight over all the racket they make. Anyway, we’ve got super seats for the 3 PM show in order to allow as much post-concert time downtown as possible – I hear booking babysitters, even family, for child-watching can be a real hassle! She wants a fancy dinner out and maybe some shopping. Of course we will take the Monorail from Seattle Center to Westlake Center. We are making sure the husbands get into the holiday spirit early this year. Earlier than December 1st seemed a little unreasonable, so that’s why this concert seemed to fit our bill perfectly. There’s nothing like a bah-humbug partner to put a wet blanket – and not one of white snow – on holiday festivities. Also planned this weekend is a visit to a Westover Tree Farm, a family-owned tree farm in Maple Valley (click here for a list of tree farms and u-cut tree sources). We’ll select an appropriately sized Noble fir to bring back to our new townhome to decorate. The size of the tree is still under negotiation and is largely determined by my husband’s energy level each year. See, stringing lights on a tree is an art. In my family, we just twirled the string around and around. When I got married and had my first Xmas with husband I was delighted by how he put the lights on the tree. He was taught by HIS dad to put the lights up and down every branch. You wouldn’t (or maybe you would if you do it this way) understand what a huge difference this makes in the overall impression of the tree. And there is no going back. I am trying for a 8-footer this year, but we’ll see what kind of mood he is in on Sunday. I hope you get your holiday season off to a great start and do something fun this weekend! Some business ‘green’ boasts are suspect – Buyers should beware of misleading, irrelevant claims. This important article by Darrell Smith of The Sacramento (Calif). Bee is a reminder to you as you head into shopping this holiday season. It actually applies to your every day household shopping, not just holiday shopping. My advice to you is to “engage brain”. Don’t just trust what you read on a label. Read the ingredients (always) – and most anything you can’t pronounce is not a natural ingredient! You can learn even more about the term “greenwash” on Wikipedia – it has its own entry! I’ve saved you a click by pasting the article below, but feel free to visit the original site thru the link above. Also, you can read the entire report, “The Six Sins of Greenwashing” here. Survey suggests consumers should take a hard look at eco-friendly credentials. Products from air fresheners to toothpastes lure consumers with promises of eco-friendly ingredients, but can they back up their boasts? A new survey suggests that many companies’ green claims are as authentic as a $20 Gucci handbag at a flea market. Virtually all – 99 percent – of more than 1,000 products plucked from supermarkets and box stores falsely claimed green credentials, according to “The Six Sins of Greenwashing,” a survey by Pennsylvania-based environmental marketing firm TerraChoice Environmental Marketing Inc. Neither the products nor their manufacturers were identified, but products ranged from deodorant to oven cleaner. The Sin of the Hidden Trade-Off: Nearly 1,000 of 1,018 products suggest a product is better merely because it contains a so-called green ingredient – recycled paper, for instance – but fail to mention that the product contains a hazardous material. The Sin of No Proof: A quarter of the products claimed to be “organic” but with no verifiable certification. The Sin of Vagueness: Eleven percent of products claimed to be 100 percent natural, but that alone does not mean a product is “eco-friendly” since many naturally occurring substances are hazardous. The Sin of Irrelevance: In labeling on 78 products, manufacturers patted themselves on the back for leaving out hazardous ingredients that were banned by law. The Sin of the Lesser of Two Evils: Researchers singled out makers of organic cigarettes and environmentally friendly pesticides because their products pose a hazard but are marketed as a healthy alternative. Seventeen products fell into this category. The Sin of Fibbing: About 10 manufacturers falsely claimed that they met a recognized environmental standard but did not. The survey’s findings inspired the marketing firm to coin a new word, “greenwashing.” TerraChoice staff defines it as the act of misleading consumers regarding the environmental practices of a company or the environmental benefits of a product or service. Drawing attention to potentially misleading green claims is a good idea, said Ronald Bailey, a policy analyst at Reason Foundation, a libertarian think tank in Washington, D.C. Yet he questioned how concerned consumers should be. TerraChoice hopes to put pressure on manufacturers to develop standards to back up their environmental credentials and adhere to “ecolabeling” programs such as Canada’s EcoLogo. The program, launched in 1988 and similar to the federal EnergyStar energy conservation program, helps consumers identify products that are less harmful to the environment. Not coincidentally, TerraChoice has managed EcoLogo since 1995, certifying companies to receive EcoLogo recognition. The firm disclosed the connection in its news release. The relationship concerns Bailey. LED lights are everywhere these days, and for good reason. I bought my first holiday LED lights three years ago straight from the source, Inirgee, when there was only ONE DESIGN. Now there are several to choose from and I can’t wait to augment my collection. Today’s Tip from Ideal Bite is called “What are the holiday lights at the end of the tunnel?” They also provide a couple of sources of lights that are new to me! Aren’t you just dying to know? Easy: LED holiday lights. LED stands for light-emitting diode – a heavenly little bit of technology that lights things up using very little energy. * Watching energy bills flatline. LED bulbs use 90% less electricity than traditional holiday bulbs. * Killing off holiday hassle. With their 20-year lifetimes, you don’t have to replace LED light-strings as often as conventional ones. * More cash on the other side. Burning 10 strands of lights with 100 lights per strand, eight hours per day for a month costs $175 for incandescent bulbs vs. about $1 for LED mini-bulbs. * Seeing the light, not heating it. Incandescent lights give off as much as 90% of their energy as heat, leading to fire concerns. LEDs barely warm up. Brookstone LED Mini-Ice Lights – small white or multicolored lights; 24-ft strands ($20). Forever Lights – pinecone-esque colored or white bulbs; 24-ft small-bulb strand, 16-ft large-bulb ($19-$29). China’s environmental problems and massive energy needs affect everything from global warming and oil prices to the air quality in Western Washington. Seattle-area experts, including venture capitalists, urban planners and architects of green buildings, are helping to change that. From business developments to plans for growing an entire green city from scratch, Seattle-area professionals are helping to clean up our air – and China’s, too. No doubt Seattle’s High Point neighborhood has been toured by Chinese leaders in trying to create livable green communities. Delegations from many countries have taken a walk in High Point. Read Can a bold new “eco-city” clear the air in China? On January 12th I will be leading a tour of High Point from both a resident’s, and also a real estate professional’s, perspective. You will also have the opportunity to speak with an Energy Efficient Mortgage professional. Stay tuned for registration information. Must-read article in today’s Seattle PI. Announcing the publication of my first calendar! Announcing the publication of my first calendar, only made possible by the amazing photographers in our Italian Greyhound (IG) meetup group, IGGY Ambassadors. I initiated a photo contest a year ago and challenged members to theme photos depending on the season or holiday. I turned over management of the club to a committee of volunteers about three months ago, when I launched a new dog club in my neighborhood of High Point, called The High Point K9 Club. But I retained “control” of the photo contest and my personal mission to create a beautiful calendar with a portion of the proceeds to benefit IG rescue efforts in the Northwest, for which I have to thank for assisting me with finding and adopting Sophia (pictured here and on the cover of the calendar). You can see a preview of the entire calendar on my web site which opens it in PDF format. It is best viewed at 40% so you can see the entire page of each month. You can purchase a copy of the calendar here. 16% of all sales goes directly to help pay for vet bills and other costs associated with the very active Northwest Italian greyhound rescue community.